Staying well-hydrated is good for your body, but it is also good for your oral health. A dry mouth can cause a breeding ground for bacteria and this bacteria can attack your enamel and cause tooth decay. 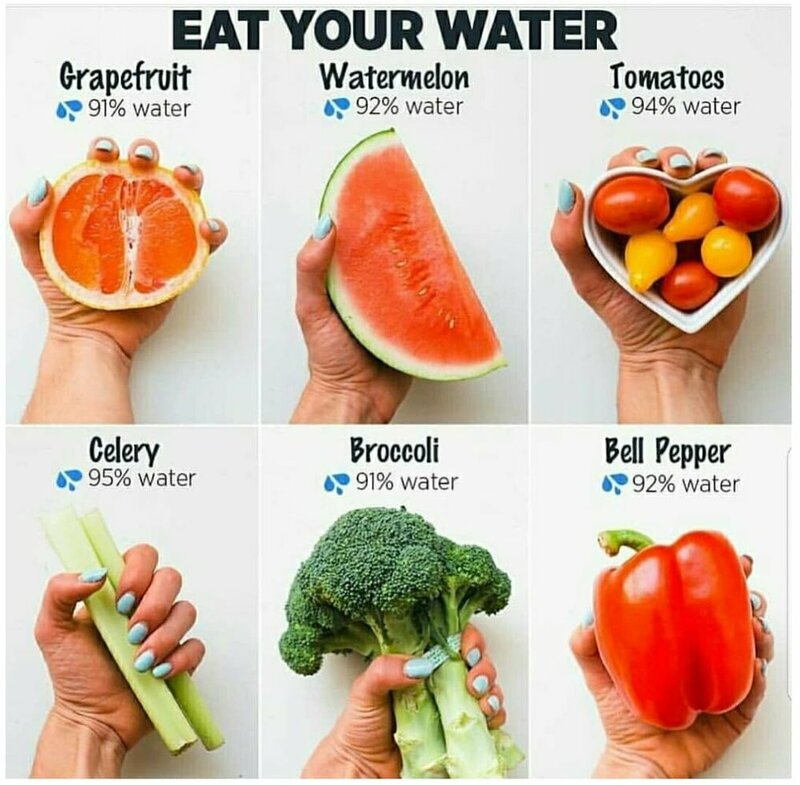 Hard, crunchy foods that contain lots of water are great for your teeth more than one way. Chewing produces more saliva, which is the best natural neutralizer of the bacteria that causes cavities. Second, the texture of these foods also makes them naturally abrasive, so they gently scrub and clean teeth surfaces, removing plaque and food particles. It has to be raw fruits and vegetable though, so this is not an excuse to munch on chips and crackers. Water, like saliva, is a natural mouthwash that disrupts and disturbs food particles, washing them away from your teeth. The best way to stay hydrated is to keep water with you and to continually sip it throughout the day. When you have dry mouth, you may already be dehydrated. Also, saliva production drops as you sleep. Dry mouth during sleep is bad for your oral health because for about eight hours bacteria has a warm and dry environment, allowing plaque bacteria to breed undisturbed. The gingival bacteria can breed out of control and contribute to gum disease, which is one of the biggest contributors to tooth loss, or tooth decay. In addition to staying sufficiently hydrated, you also need to brush at least twice a day for two minutes and clean between your teeth every day, (The Plaque Buster is a great interdental softpick and gum stimulator you can use daily! ), and especially before bed time. Good oral health habits will keep your teeth and gums healthy, and will prevent cavities, tooth decay, and tooth loss, and will keep gum disease at bay. Stay tuned to our blog for bimonthly articles about how to keep your teeth and gums in good shape.